After our big fail-fest of a dinner last night, we headed to the home our BFF and neighbor, Evil Josh. 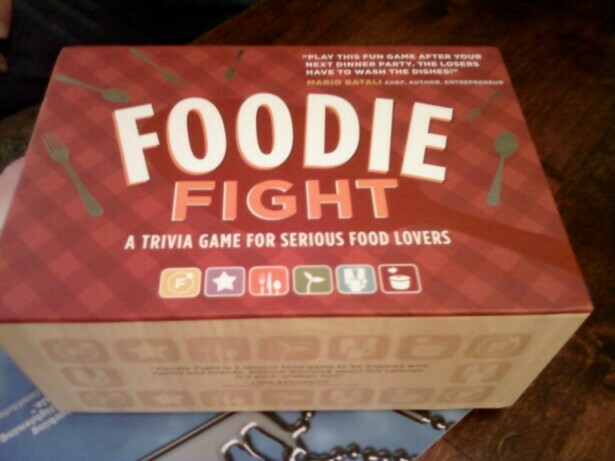 We uncorked some wine and cracked open some beers and he showed me the new game he'd picked up at the book store called Foodie Fight. 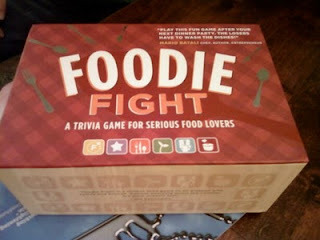 I won't front like I know *everything* about food, so I'll definitely lose - but so will everyone but our friend Billiam. Every once in a while, I can tolerate losing, as long as I have fun doing it. After several porch drinks, we decided we needed something in our belly's. EJ first busted out some Triscuits and sharp white cheddar, but then decided to grill up the Gyulai that he'd picked up from Jungle Jim's International Market. Gyulai (pronounced you-lie) is a traditional spicy, smoked Hungarian sausage that's on the drier end of cased sausages and has a perfectly crispy skin when grilled. They were, needless to say, nomtastic. I'm quite a sissy with heat, so I think if I were buying them myself, I'd get the milder version. Not to be outdone, EJ came up with a grand finale that was the perfect end in a tour of "How to obtain diabetes" - fried peeps. But, peeps fried in butter would be elementary. 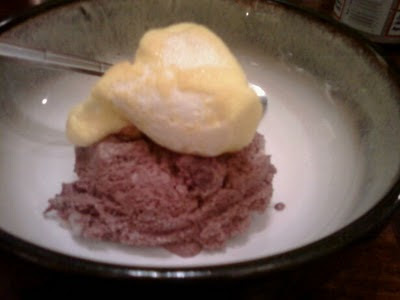 So, use that fried peep as a garnish on some rocky road ice cream. Now we're talkin'! 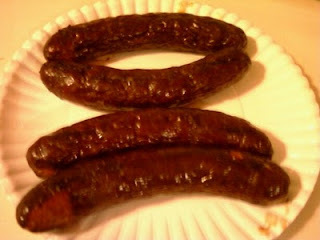 This was a first attempt, so they weren't perfect, but if you got a bite that had been perfectly caramelized, it was like striking gold. Next time, we'll try it with all the same elements, except either with a scolding hot pan, or even a flambe torch. ManBQue: All aboard the gravy train! 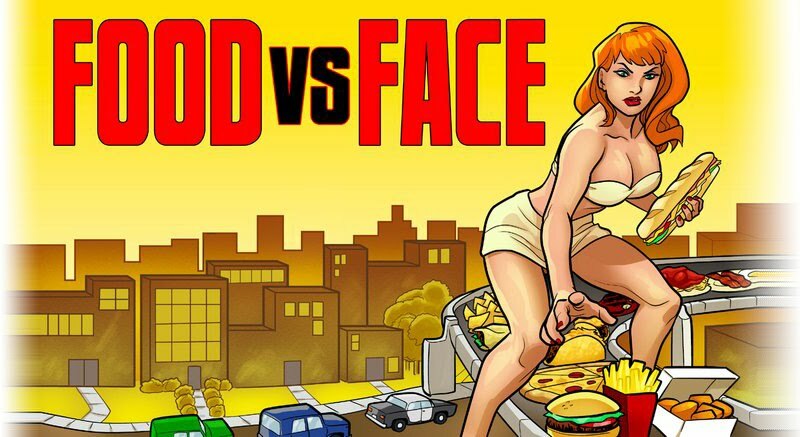 Food vs. Face is now on Facebook!